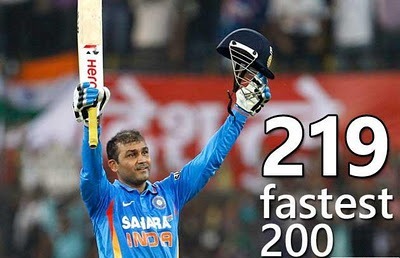 Virender Sehwag Record Braeable 219 runs in ODI VS WI. Highlights Video with HD. He breaks sachin tendulkar's 200 not out record.